There are some things that you are not quite prepared for after having a baby. I know that I received lots of advice and warnings of what may happen but can't quite imagine until it actually occurs. For instance, after having Kenzie Hubs asked if there was another baby waiting to come out. I guess that's what happens when gaining 50+ pounds! The extra baby eventually went away but one issue that pops up on occasion is that sometimes sneezes and laughter lead to leaks. Especially since my allergies have been acting up and the cooler weather is coming, a solution was desperately needed. 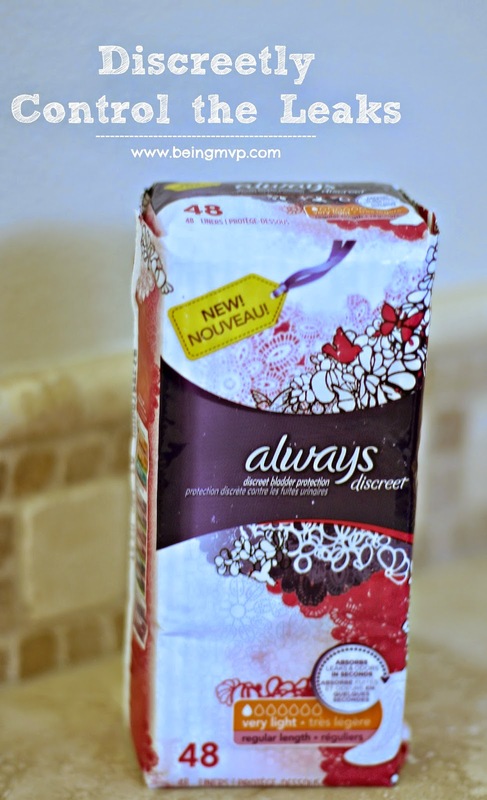 I am already a huge fan of Always and was delighted to find out that Target carries new Always Discreet products. 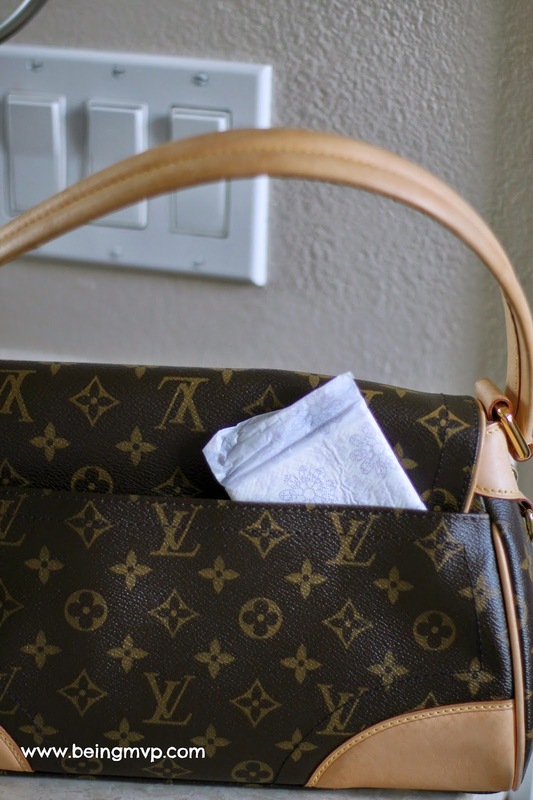 The Always Discreet Liners are surprisingly thin and truly discreet. They absorb 2x more than you may need*! You can wear these on a daily basis and have the confidence of controlling the leaks through the day. No worry of having extra underwear on hand or needing to have a change of clothes for emergency. Be confident and laugh away all you want with the security of Always Discreet. There are also Always Discreet Pads and Underwear available depending on your preference. You can enter promo code DISCREET at checkout online to save $1 (expires 12/31/14). There is also 5% off + free shipping when you subscribe and save + an additional 5% off when you use your red card! For in-store savings, text DISCREET to TARGET (827438) for instant coupons (expires 12/31/14). You can also get a FREE carrying case through October 25, 2014 in store when you buy $20 of Always Discreet products! Get your FREE SAMPLE now** and control the leaks! Do you suffer from leaks? Have you tried Always Discreet products? I much prefer discreet. How great that Always has this option available. I like how Always has been revamping their imaging and packages to look more modern and less stuffy. I use liners for LBL from time to time because of medical issues, they're a lifesaver. I remember when things like this were for older women. Now that us younger women are admitting to LBL issues, I love that Always is making more discreet, less "old" solutions. Discreet is a big plus when it comes to LBL. It's nothing to be ashamed of, but it still has a stigma with some. I absolutely love this. I have a small LBL issue, and I'm a little self conscious about it. Discreet is so important to me when it comes to this issue. I'm always happy to see these small, discreet packaging options for LBL products. It's nothing to be ashamed of, but it's also not something you want to broadcast to the world. I did after the twins were born, but luckily over the years it's not an issue. I hear ya though, we moms never expected half the issues we face! My husband laughs every time i have to stop and cross my legs before sneezing. Seriously so annoying. I would prefer something more discreet like these liners. My 3 kids totally wrecked my bladder control. /sigh. It is great that Always has considered the sensitive nature of this problem and came up with a product that can be stowed away hidden! I have tried Always Discreet liners. I tend to need them when i have a very bad cough in case of any leaks. Discreet liners are comfortable and work great. Discreet is always a plus in my book. I hate looking like I have a diaper on. These are SO thin and small! DANG!! That is a lot of deals on something I am going to need for a long time to come : ) Never tried these ones before, but I will now. Those are super-great to have on hand and fit pretty much everywhere... Love them. Sounds great, I like how thin they are and hold so much! These would come in handy for Month 8 of pregnancy. Those would definitely come in handy and I love how discreet they are. I'll have to tell my daughter about these! I really need to remember to pick some of these up! I've had 5 kids, so yeah...totally would use them! I did not know Always made these! Thank you for sharing! I love how discreet these are! This brand I've used since high school! Great to pack in your purse! I love these and I love how discreet they are! My brand since High School!